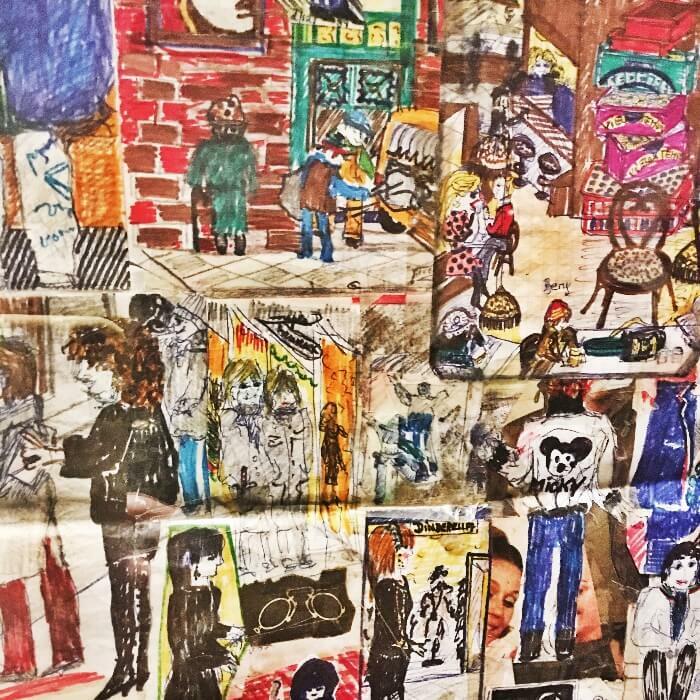 Free and Fabulous....The American Folk Art Museum and Self-Taught Genius Gallery! 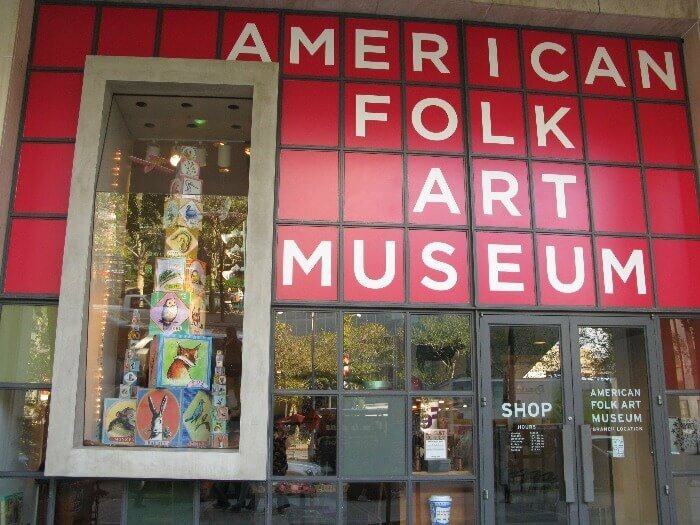 Free and Fabulous…The American Folk Art Museum! Before meeting my darling husband Will, I’m not sure I could have given you a good definition of Folk Art. Is is art hand-carved from wood? Is it old trade signs? Weathervanes? Cigar Store Indians? 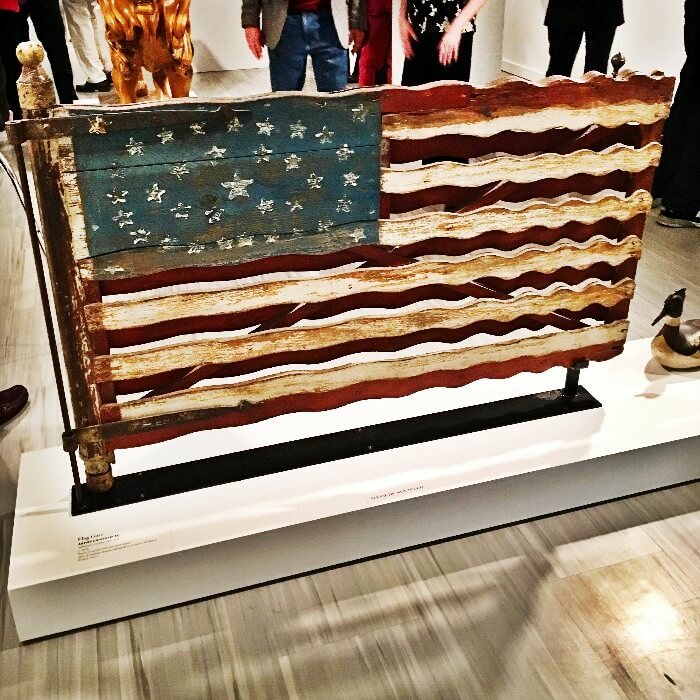 Yes to all….but Folk Art is so much more, and if you are curious about this fascinating art form, you should make plans to visit the American Folk Art Museum in NYC! Folk Art is such a fascinating art form, and there are two locations in which you can deeply experience this interesting genre. The primary location of the American Folk Art Museum is in Lincoln Square, across the street from Lincoln Center, on Colombus Ave. between 65th and 66th. This gorgeous museum contains gallery space with rotating exhibits, as well as a large gift shop. Y’all know I advocate finding bring-homes in museum gift shops, because you are directly supporting the museum! The current exhibit is “Vestiges &Verse: Notes From the Newfangled Epic” and runs through May 27th. Will and I had the great fortune to be guests of Allan and Penny Katz, whom I introduced you to in this post, on opening night of the exhibit. 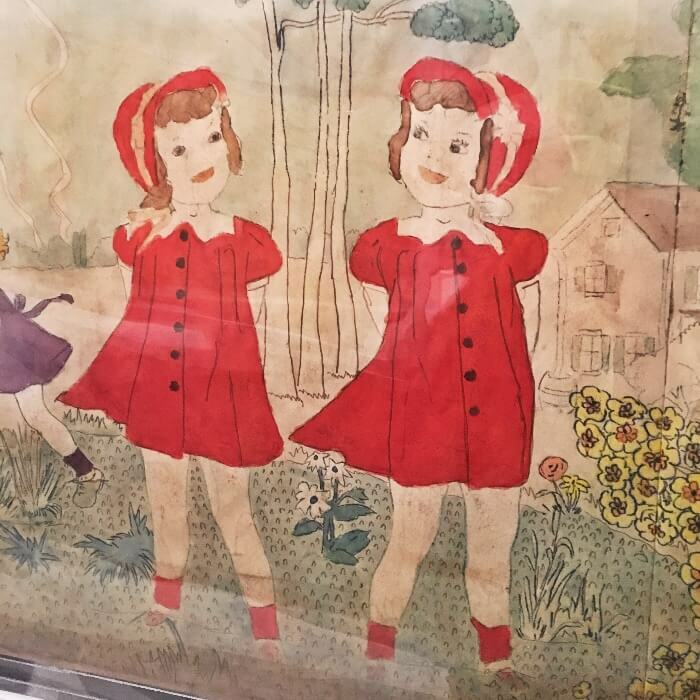 In particular, I was drawn to the large exhibit of works and personal possessions of self-taught artist Henry Darger. 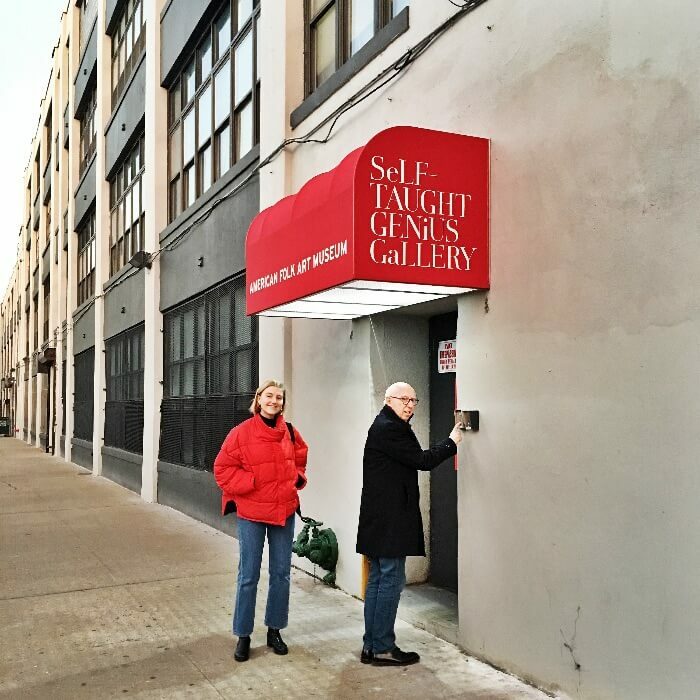 Twenty other self-taught artists’ works are displayed in this fantastic exhibit, and will fascinate visitors of every age in the uniqueness and range of expression and medium each artist employs. 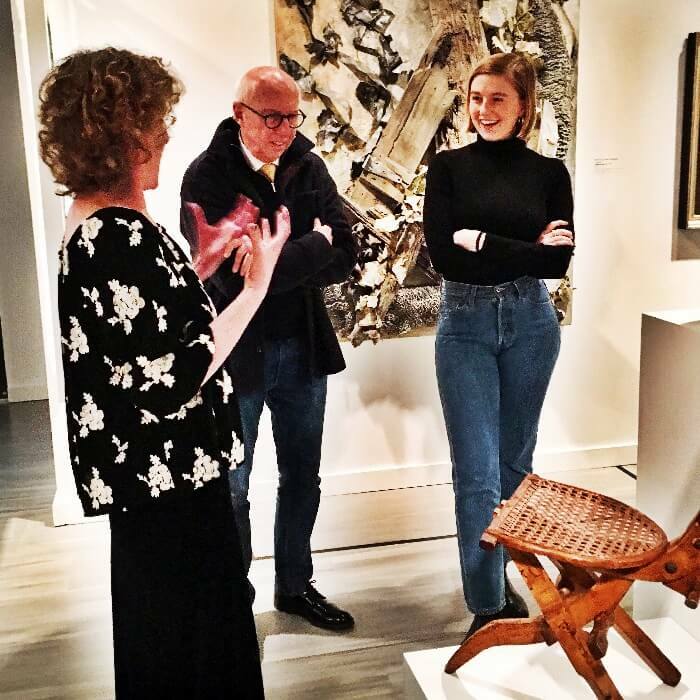 Again, thanks to the kindness of Board of Trustees Member Allan Katz, Will and I and our darling cousin Annalee Walton, enjoyed a tour of the Self Taught Genius Gallery, as as well as personal attention from Acting Executive Director Stacy Hollander. Stacy is brilliant and generous with her knowledge, and we learned so much about many of the incredible pieces of Folk Art on display. If you are visiting NYC, don’t be deterred by the Long Island City address….an Uber ride from mid-town took 20 minutes, and you can also ride the subway! Let me mention again that the American Folk Art Museum and The Self-Taught Genius Gallery are free! However, you might want to consider becoming a Member. Memberships start as low as $60, and not only help support this fabulous museum, you will also have special access to exhibits, private evening events, and discounts in the gift shop. 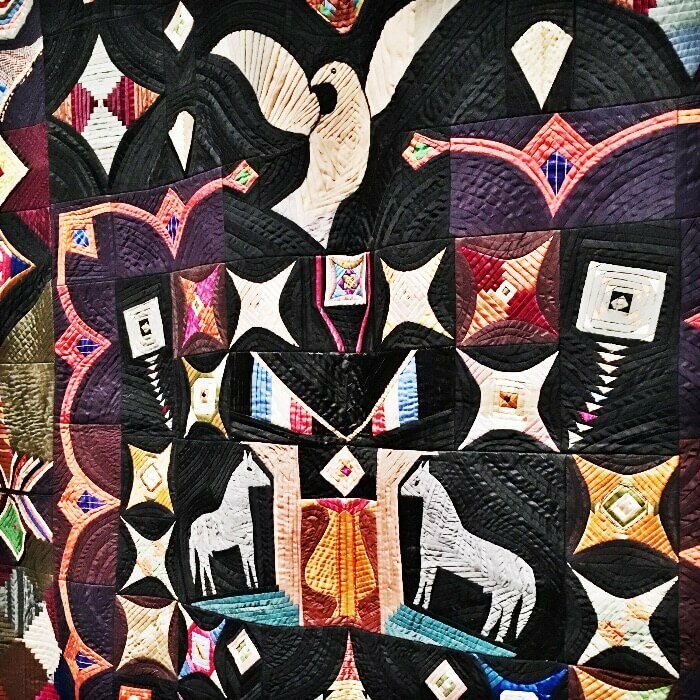 Y’all, make sure to add The American Folk Art Museum and the Self-Taught Genius Gallery to your list of activities when next in NYC. I guarantee a fascinating and educational time! If all that museum touring has made you hungry, my NYC Restaurant Guide is only $10, and has over 30 restaurant suggestions, organized by part of town, and includes phone numbers, and information about those that participate on Open Table. Worth every penny y’all!!!! 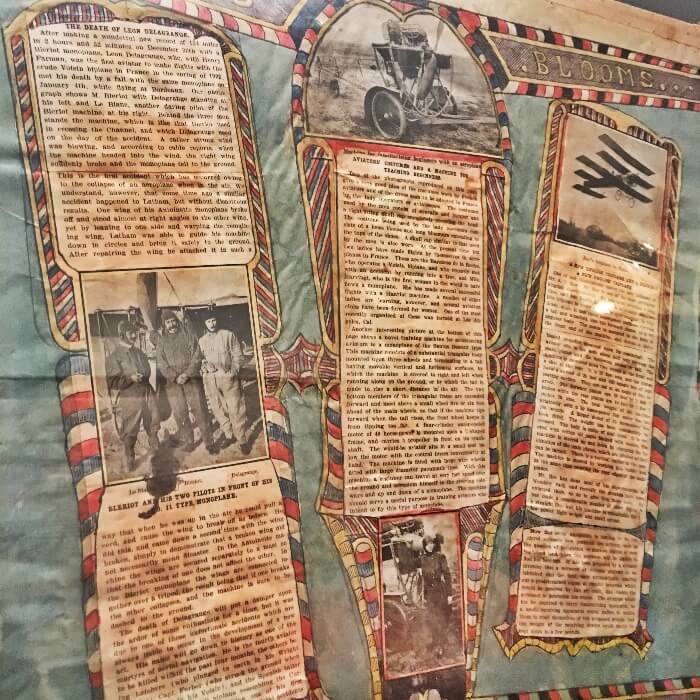 If you enjoy visiting museums, check out this post, this post and this post! If you are headed to NYC, and would like help planning the perfect vacation, I’d love to help you! Please click here! This is a fabulous museum!!! Both locations are definitely not to be missed. There’s always something wonderful to see and discover at this museum!! Agreed! Always a favorite stop while in NYC!